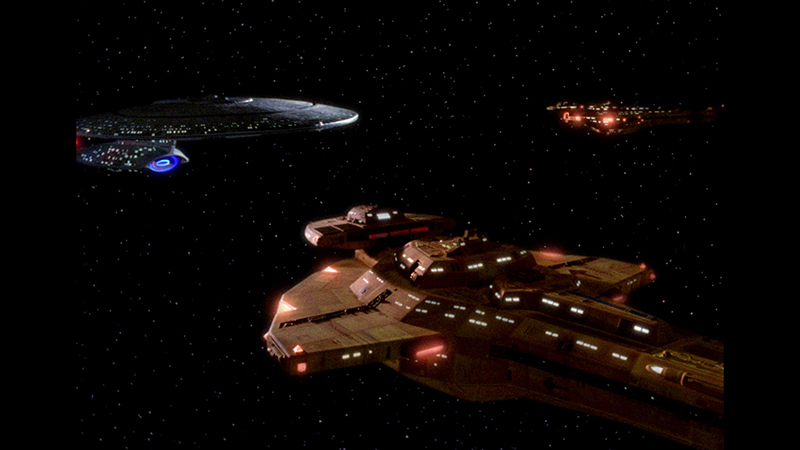 Notes: The Cardassian Galor class composes the majority of the Cardassian Union's fleet. Originally built to match the previous generation of Federation and Klingon starships the Galor class is easily outclassed by most other starships as the other Alpha Quadrant powers have since advanced beyond the current level Cardassian technology. Equipped with one main forward disrupter array and several smaller arrays, a Galor class is no match for a Federation Galaxy class, to compensate for this short coming the Cardassians often deployed ships in small tactical groups composed of three or more Galor class ship. 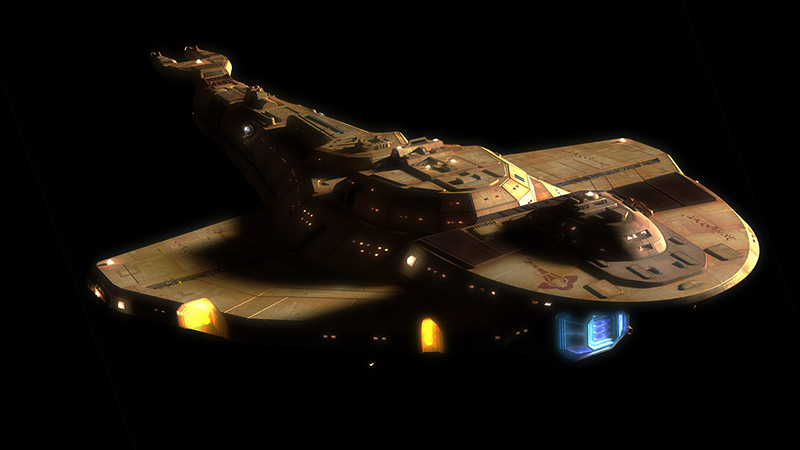 After Cardassia joined the Dominion the Galor class was refitted with more advance weapons including plasma torpedoes to compete with similar class starships. Even with these improvements the Galor class was consigned to a support role or cannon fodder for more powerful Dominion ships. After the defeat of the Dominion the future of the Galor class is uncertain. The Cardassian Galor class is the weakest of all Alpha Quadrant ships. The majority of these ships will be decommisioned as a term in the Dominion War peace treaty.